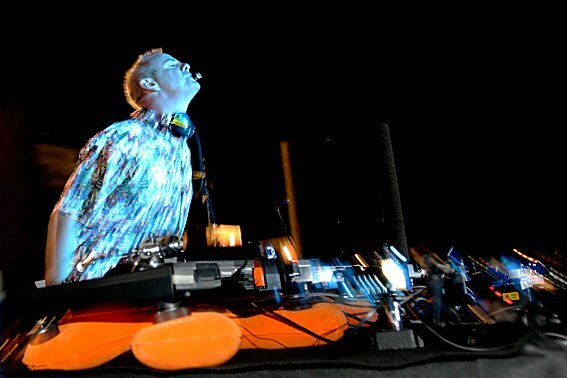 Fatboy Slim, partindo a casa, com o seu apito. Lisboa, Portugal a 12 de Junho de 2004. Fatboy Slim, breaking the house down, whit his whistle. Lisboa, Portugal at 12 of July of 2004.